Are your kids obsessed with Rick Riordan books? Mine is. Not sure who he is? Ever heard of Percy Jackson? Yeah, I thought you had! 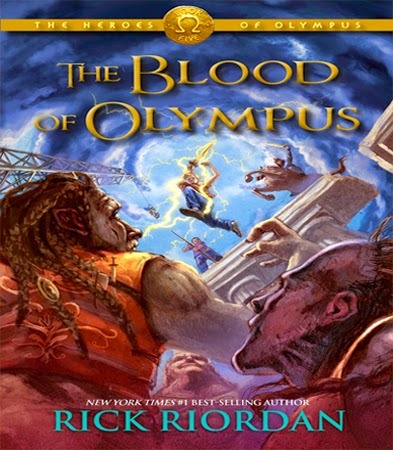 Rick Riordan will be talking about The Blood of Olympus, the finale in his Heroes of Olympus series. He'll answer questions as well. You can hear the talk, and buy copies of his Percy Jackson and the Olympians series, as well as the Kane Chronicles series, that night, but he will not be signing books, so don't drag them in. It's sponsored by Kepler's Books. When: October 15 at 7 p.m.
Tickets: here or at Kepler's. Tickets are $15 for the talk, or $30 for the talk and a pre-signed copy of Blood of the Olympians.